You can’t reach into your garbage disposal (don’t try! 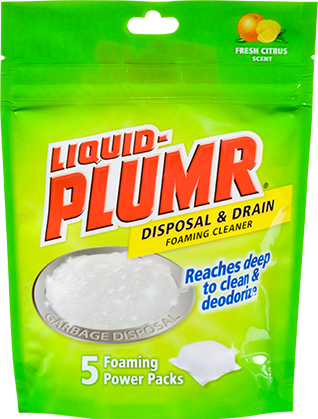 ), so let Liquid-Plumr® Disposal + Drain Foaming Cleaner reach it for you. 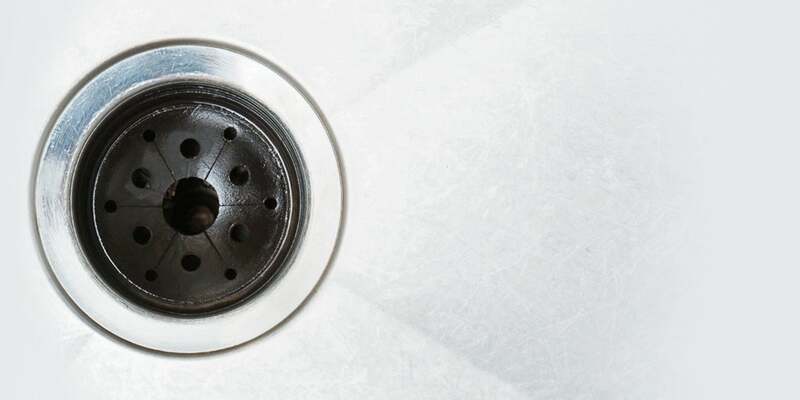 Just drop one quick-dissolving pack into your disposal for a clear drain with a fresh, citrus scent. Run a full stream of hot water for 1 minute in an empty sink with the disposal off. Then reduce water flow to a thin stream on the side of sink. Drop one Foaming Power Pack completely into your disposal. Don't open the pack. Turn on the disposal. Foam may rise into the sink. Turn off the disposal when the foam completely retreats into disposal. Rinse the remaining foam from the sink. Will not clear a clogged drain. To clear a clogged drain, use Pro-Strength Liquid-Plumr® Urgent Clear® Gel. Keep out of reach of children. Harmful if swallowed. Eye and skin irritant. Do not use with other drain cleanears, including other Liquid-Plumr® products, as the release of hazardous gases may occur. You may use two Foaming Power Packs at a time in your disposal, or decrease the amount of time between cleanings. After putting a Foaming Power Pack into your disposal, turn the disposal on. Wait 1–2 minutes for any foam to retreat into into the disposal, and then rinse the sink with water. Yes. When using this product, foam may rise up into your sink, or into both sinks if you have a double sink. It is also normal not to see foam. Even if no foam appears, the product is still cleaning and deodorizing deep in your drain and disposal. For best results, we recommend using the one foaming power pack each time you want to clean and deodorize your disposal. Use this product any time you want to freshen, clean and deodorize your disposal. No. This product is not designed to clear a clog. For clog removal, use Liquid-Plumr® Urgent Clear®. Rated 5 out of 5 by Nevada from Smells freakin amazing. I LOVE the scent I just buy it because it smells so darn good. I'm sad I can only order it online. Rated 5 out of 5 by Bman93 from Smells Great! I bought this hoping that it would fully destroy those pesky odors that were in my disposal and it did! Very happy!